Item Description: Sometimes natural beauty and interior design go hand in hand—as is the case with this exceptional coffee table. 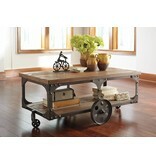 Inspired by vintage factory carts, it serves up industrial-chic style in a fresh, innovative way. 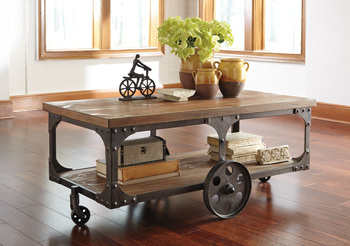 The wire-brushed tabletop stain is a masterful melody of color that evokes weatherworn driftwood.